Home / Why Choose Prelude Music? We know there are lots of options in Winnipeg for families when choosing a music educator or therapist. So why choose Prelude Music? All of our specialists have university education, experience performing, competing and a passion for teaching. If fun and engaging lessons are what you are looking for, then Prelude Music is the place for you! 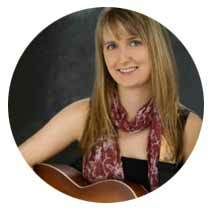 Michelle is certified music therapy in both Canada (MTA) and the United States (MT-BC). She holds a Masters of Music (MM) (Western Michigan University, 2009), with an emphasis in Music Therapy, and also holds undergraduate degrees in Music Education and Special Education (University of Mary, 2003). Michelle has specialized training in Neurologic Music Therapy (NMT), which can assist those individuals who have rehabilitation and/or neurological needs as well as Neonatal Intensive Care Music Therapy (NICU), assisting premature infants and their families. Since becoming a music therapist in 2007, Michelle has had the privileged of working at BC Children’s Hospital, Victoria Conservatory of Music and starting Prelude Music. In 2016, Michelle became a part-time Professor of Music Therapy at Canadian Mennonite University, where she gets to share her passion for the field with up and coming therapists. Some of Michelle’s achievements are: creating Melodies & ABCs curriculum, 2012 judge for the Juno’s in the category of Best Children’s Album, 2014 the winner of the Women Entrepreneur of the Year Award for Emerging Business and being a guest speaker throughout North America. 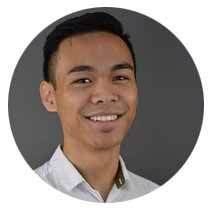 Queveen Arcedo began his musical journey at the age of 7, playing piano at St. John’s Music starting out in group piano lessons. He continued his studies at Preparatory Division at the University of Manitoba taking private lessons with Diane Knute who helped guide his passion for music. Later studying under Julliard Alumni, David Moroz, Queveen graduated from the University of Manitoba with a Bachelor’s in Piano Performance. Although Queveen has been performing since he began studying music, his true love for the art is in composition. Queveen is a winner of CFMTA Student Composer Competition for Solo Piano in both 2009 and 2010 at the Provincial level. Currently, Queveen works alongside the Pearl of the Orient directing and composing music for traditional Filipino dances. Queveen enjoy’s teaching all age groups and levels of experience. His goal for his students is to leave not only learning something new about the music they play, but also feeling proud about what they have accomplished. Kelly Beaton is completing the Bachelor of Music Therapy program at the Canadian Mennonite University in Winnipeg, and will begin her music therapy internship at Prelude Music under the supervision of Michelle Yaicuk in February, 2015. Kelly has completed music therapy internship placements at the Children’s Hospital in Winnipeg and at several elementary schools in Winnipeg. She has also taught vocal and piano lessons for the last 5 years, and has studied and performed classical voice and piano since the age of 5. 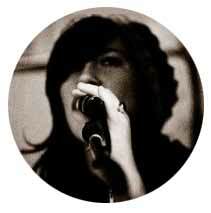 Kelly studied vocal jazz at the International Music Camp, and was heavily involved with the Performance Arts Program while attending Westwood Collegiate, receiving the award for Outstanding Recognition in Music for three consecutive years. In addition to formal training, Kelly has traveled throughout North America and Europe with musicians from Winnipeg performing at large, international music festivals and venues. She continues to teach and perform regularly in Winnipeg, and is looking forward to joining Prelude Music’s team. Jenna graduated from Capilano University with a Bachelor of Music Therapy and was the recipient of the Dean’s Award for Academic Achievement. She did the first half of her internship at St Amant in Winnipeg, Manitoba, where she worked with children and adults with developmental disabilities; the second half of her internship was completed in the Brandon School Division working with children from ages 6-21 in the life skills program. 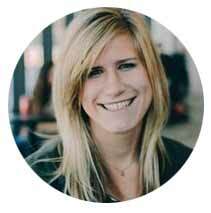 Jenna is accredited with and is a member of the Canadian Association for Music Therapy (CAMT), and is a Neurological Music Therapist (NMT). Jenna has pursued continuing education to teach early years music and enjoys teaching family music classes. She has worked with children and adults in both individual and group sessions, ranging from babies to older adults in long-term care. Jenna enjoys working with people of all ages and abilities and loves watching others grow and develop through music therapy. 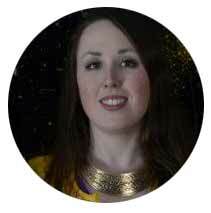 Paige Drobot is a young and enthusiastic teacher with experience teaching in manydifferent environments. She has worked with students of all ages and skill levels ranging from beginner to advanced musicians. 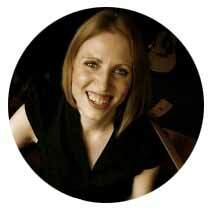 She has studied jazz guitar and ethnomusicology at universities and can teach nearly any style of music you can name. When not teaching, Paige is busy writing, recording and performing across Canada with her band. Growing up, Rebekah always found herself surrounded by music. Her father and her three sisters all played stringed instruments and took piano lessons, and so there was rarely silence in the Koop household. Rebekah was no exception to this family trend, and began playing violin at the age of four. Throughout junior high and high school Rebekah was involved in numerous choirs, bands, and orchestras. Although she enjoyed all of her musical experiences, violin playing always gave her the most joy. Rebekah graduated with a Bachelor of Music (majoring in violin and voice) from Canadian Mennonite University in 2015, and will be completing her Bachelor of Music Therapy in 2018. Aside from violin, Rebekah also has training in: voice, clarinet, saxophone, guitar, piano, music history, and music theory. Although Rebekah was primarily trained in the Suzuki violin approach, her pedagogy is to use an integrative approach that meets the needs of each individual student. Sarah Kroeker graduated with a Bachelor of Music Therapy from Wilfrid Laurier University in 2014 and received her MTA in September 2015. 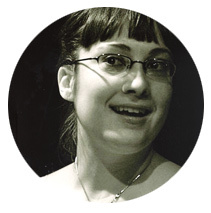 Sarah was trained with an improvisation-based/creative music therapy focus and has worked with a range of clients, primarily school-aged children and adolescents. Sarah splits her time as a Music Therapist at Prelude Music between private clients, kindergarten classrooms and instructing Melodies and ABCs. Sarah’s primary musical love is the cello which she has played since she was four. 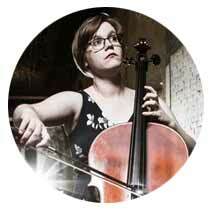 She has studied cello locally with Adeline Muller, Andrea Bell and Karen Sunabacka. In her spare time, Sarah serves on a number of professional and arts organization boards.